In solidarity with our brothers and sisters in Chicago, who are on strike. If you want to help, please contribute to their solidarity fund. I have. Rahm's corporate pals changed the law so that CTU needed a 75% vote of union members to authorize a strike, thinking that would never happen. Some "reformer" whose name I don't recall boasted of this at a meeting. When the vote came, 98% voted to authorize a strike, which came to 90% of union members. Rahm criticized them for not waiting to hear what the arbitrator would say. But when the arbitrator came back, he recommended a 15-20% raise for teachers. Rahm was not pleased. Chicago teachers rejected it too, because it did not address school conditions. A sticking point in current negotiations is teacher evaluations. 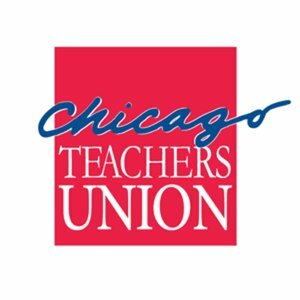 Rahm is insisting on VAM junk science, while CTU insists they stick to reality. Personally, I'm pro-reality. Let's see whether Rahm's mentor, President Barack Obama, finds his comfortable shoes and stands with labor today.